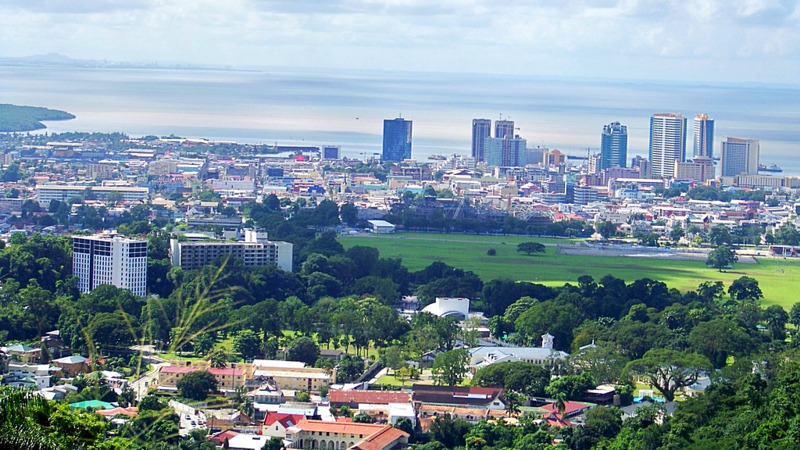 Photo: Port of Spain, Trinidad and Tobago's capital. Photo via Wikipedia. 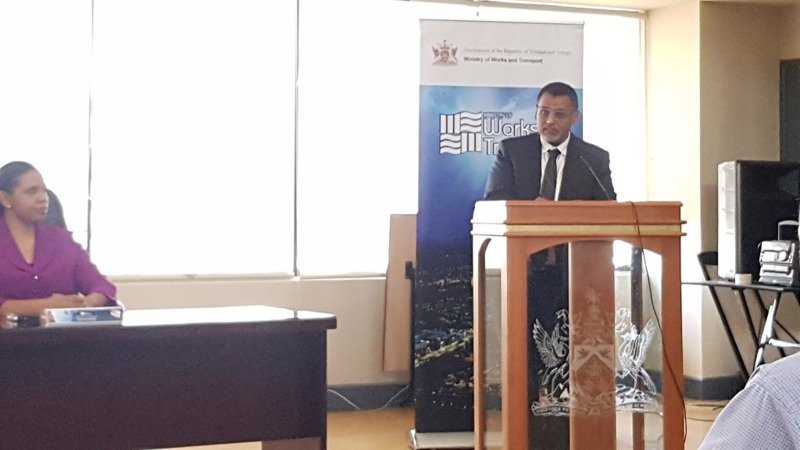 Although Trinidad and Tobago's corruption levels did not increase from 2017-2018, the bad news is that nothing has changed, according to Transparency International. Transparency International's 2018 Corruption Perceptions Index (CPI) lists Trinidad and Tobago with a score of 41, while the country dropped in its overall rankings from 77 in 2017 to 78 in 2018. Out of a total of 180 countries, on a scale from zero (very corrupt) to 100 (very clean), Trinidad and Tobago foundered at 41, making the country more corrupt than countries like South Africa (43), Saudi Arabia (49) and Jamaica (44). The report cited issues such bribery, government’s inability to treat with corruption and the unwillingness to report on corruption by citizens. 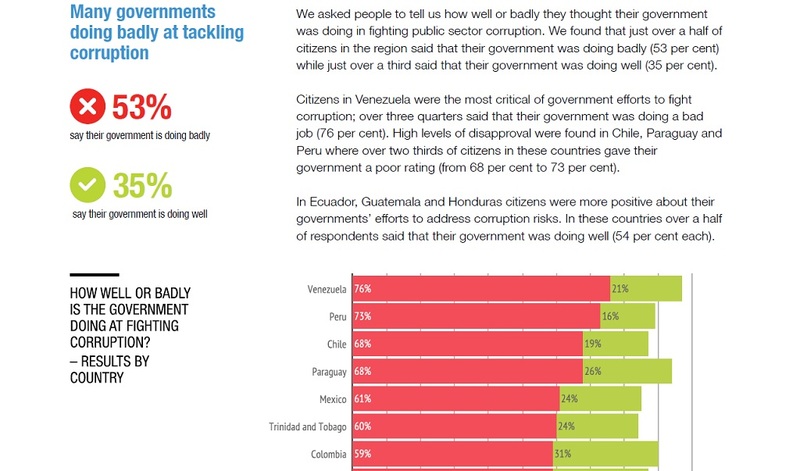 "This new report from the Global Corruption Barometer series is based on surveys with over 22,000 citizens living in 20 countries in Latin America and the Caribbean." "We asked about first-hand experiences of bribery in public services and perceptions of the scale of corruption. Our report comes at a time when governments around the world are having to pay greater attention to tackling corruption as the United Nations’ Sustainable Development Goals (SDGs) – an ambitious set of 17 global goals – calls on governments to “substantially reduce corruption and bribery in all their forms” (Goal 16.5)." The highest scorers included Scandinavian countries such as Denmark (88) and Finland (85), along with Singapore (85) and New Zealand (87). The lowest-scoring countries include North Korea (14), Yemen (14), South Sudan (13) and Syria (13). Countries with scores of 45 or lower on the CPI are classed as flawed democracies - nations where elections are fair and free with basic civil liberties, but where issues exist (such as media freedom infringement). These nations have significant faults in other democratic aspects including underdeveloped political culture, low levels of political participation and issues in the functioning of governance. A major factor cited by Trinbagonians to the group was the presence of corrupt police officers. The report said over 60 percent of citizens thought there were high levels of corruption in the police service. The report said of those surveyed, six percent of Trinbagonians paid bribes, one of the lowest rates compared to other Latin American/Caribbean countries. 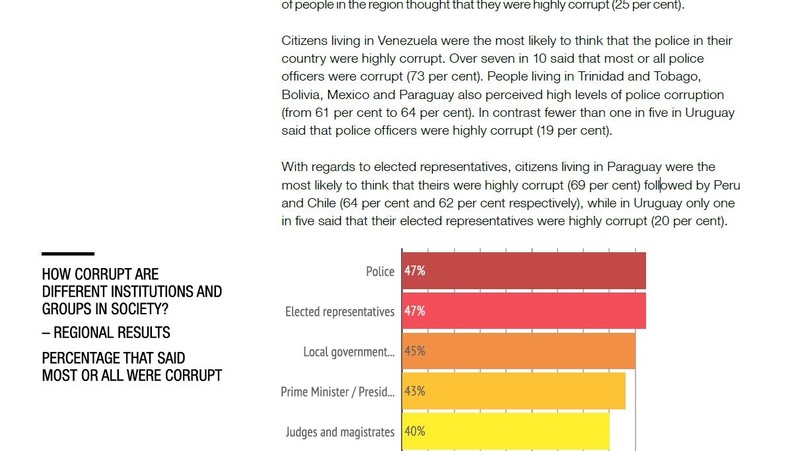 The report said 37 percent of Trinbagonians said agreed with making reports where instances of corruption were found, however this was the lowest compared to countries like Jamaica (52%) and Costa Rica (75%). 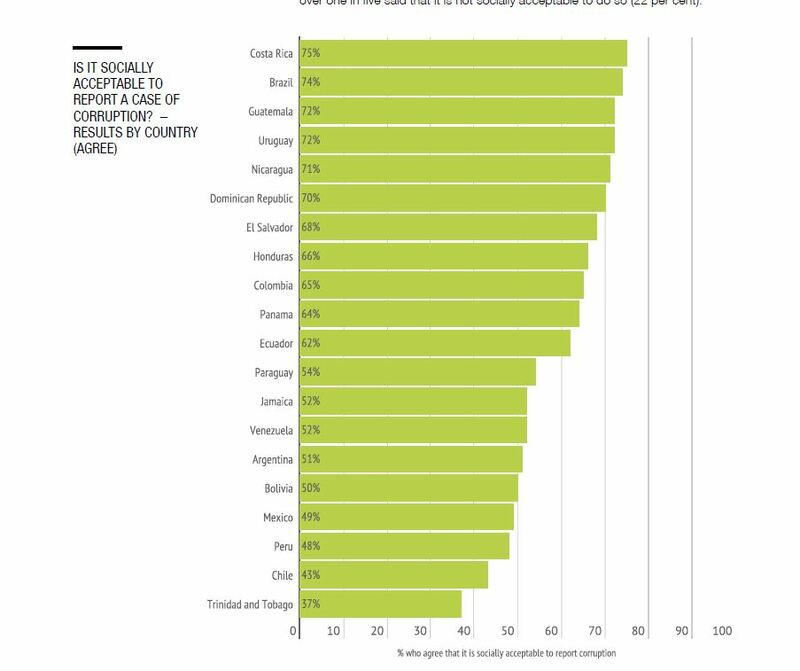 “In Brazil and Costa Rica, citizens were most likely to agree that it is socially acceptable to report corruption, with around three quarters agreeing (74 per cent and 75 per cent). 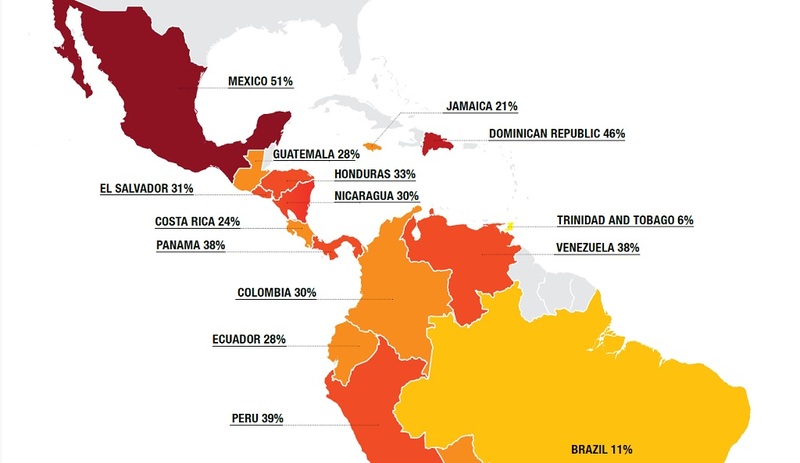 However, in Trinidad and Tobago, Chile, Mexico and Peru fewer than a half of citizens said that reporting corruption is socially acceptable (from 37 per cent to 49 per cent),” the group said. 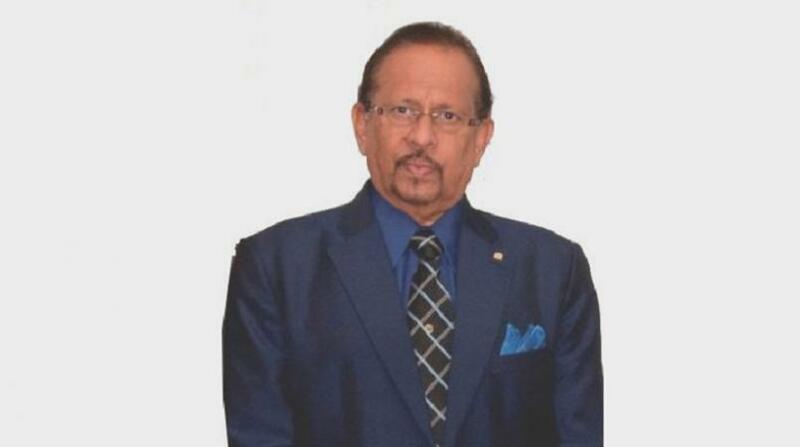 The report said many Trinbagonians agreed that not enough was being done to tackle corruption. The report also noted that a high percentage of those surveyed said they were afraid to report corruption. Transparency International said more than two-thirds of countries surveyed scored below 50 on this year’s CPI, with an average score of just 43. 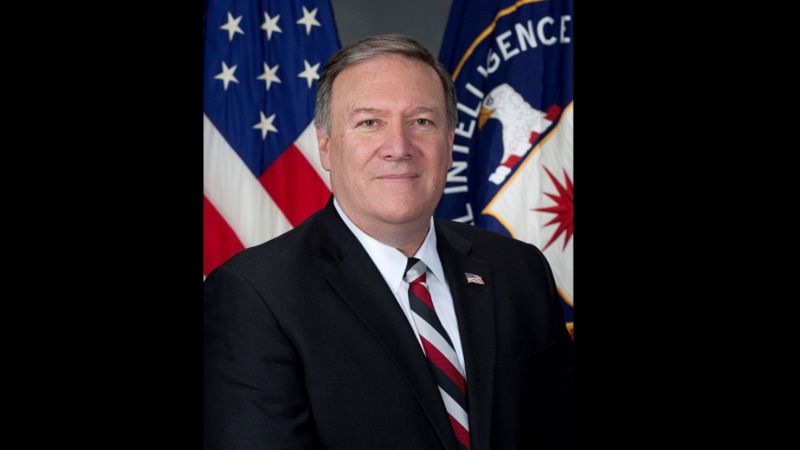 "While there are exceptions, the data shows that despite some progress, most countries are failing to make serious inroads against corruption," the organisation said. Since its inception in 1995, the Corruption Perceptions Index, Transparency International’s flagship research product, has become the leading global indicator of public sector corruption. The index offers an annual snapshot of the relative degree of corruption by ranking countries and territories from all over the globe. In 2012, Transparency International revised the methodology used to construct the index to allow for comparison of scores from one year to the next.